The juice of some trees is not only delicious, but also useful. 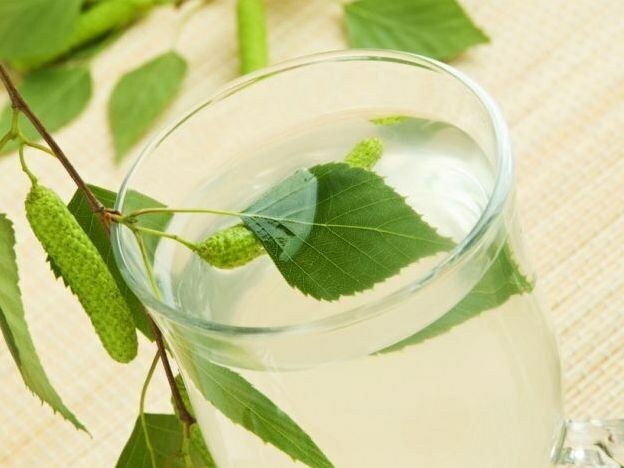 In ancient times spoke about the miraculous power of the birch, whose juice is not only tones but also strengthens the organism, increasing its protective function. The juice of the maple also has a set of useful properties. Today the healing properties of juice of the trees is confirmed by numerous studies and the experience of the application. Birch SAP is collected from the beginning of March, its strongest flow is observed in April. This is due to the fact that when snow melts a large volume of water enters the root of the tree. In this regard, the large reserves of starch accumulated in the roots and the trunk, converted into sugar, which is soluble in water. The movement of the juice, which is also called the "weeping birch", starts about a month before bloom the first leaves. So who are willing to try a delicious and healthy drink is about 15-20 days in order to collect it. - rheumatism, arthritis and gout. The drink will help with fighting infection and harmful microorganisms. It is actively used to combat skin diseases and inflammatory processes of different origin. The juice increases the overall tone, removes fatigue, sleepiness and irritability. In addition, it performs a regenerating function and stimulates the normal course of metabolism. Collecting birch juice, you must pour it into bottles, adding to each 2 tbsp. sugar. Store in a dark and cold room. For therapeutic purposes, use only fresh juice in the refrigerator it can be stored for more than 2 days. Maple begins to bloom quite early, and the juice gives you approximately three weeks before flowering, at the beginning of March. It appears much earlier birch, and there are not a lot of time. It should be noted that the juice secreted profusely in a Sunny day, but freezing does stops flowing. The drink contains a large number of items that are very important to the human body. This vitamins, minerals and organic acids. The juice of the maple tree known for its antibacterial properties, so can be used as an antiseptic on wounds. It is useful for vitamin deficiency, fatigue, as a preventive measure for colds, especially in the season of the spread of SARS. Quality and beneficial properties of the juice is directly dependent on the place where the tree grows. Why not collect them in polluted areas near industrial plants, road and rail routes. Those who are limited in the intake of sugar, it is worth remembering that in the composition of the juice is sucrose. Therefore, the use juice should be discussed with your doctor. It should be noted that coniferous trees also provide juice, which is called "turpentine". It has a different consistency, because it already freezes on the bark of a tree, but has excellent medicinal properties. As a rule, the aim is to strengthen immunity, improve the overall condition of the body and the struggle with the spring beriberi and asthenia.